As a sales rep with over 15 years’ experience, I’ve learned how to ask a lot of questions; and with all the storage options it’s important not only to ask questions but to ask the right questions. What’s going to get you through the weekend? Let’s take a step back and walk through the process of collecting and processing evidence. When an officer collects evidence the officer “tags and bags” the evidence and deposits it into an evidence locker to later be processed by the evidence tech. 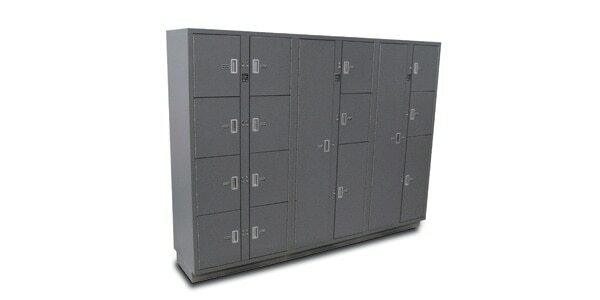 There is generally a bank of lockers that secure evidence to protect the chain of custody. These lockers can be accessed only from the front or they can be pass-thru lockers that allow the tech to access the evidence from the back which is located inside an evidence processing room. As soon as the evidence tech removes the evidence from the locker, the locker may be used again by the officers for new evidence. Evidence techs are usually retired officers or civilians who work a fairly normal work week, Monday through Friday 8am – 5pm. During the week the evidence process runs quite smoothly, with lockers always being available to secure evidence as the tech is there to process the evidence as it arrives. But what happens when the evidence tech isn’t there? 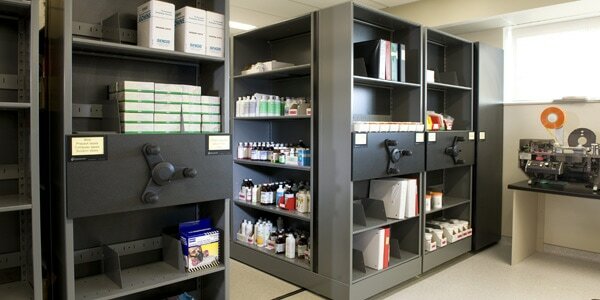 In order to protect the chain of custody, evidence has to be securely stored as soon as it reaches the station. If all of the evidence lockers are taken and if the evidence tech isn’t there, then they will be called in to process evidence after hours, which will waste valuable time and money. So back to my original question: what gets you through the weekend? Or, more specifically, what storage configuration do you need to accommodate all of the evidence collected on the weekends so you don’t have to call in the evidence tech after hours? Patterson Pope can help determine how many lockers the station needs, the size, type and configuration.